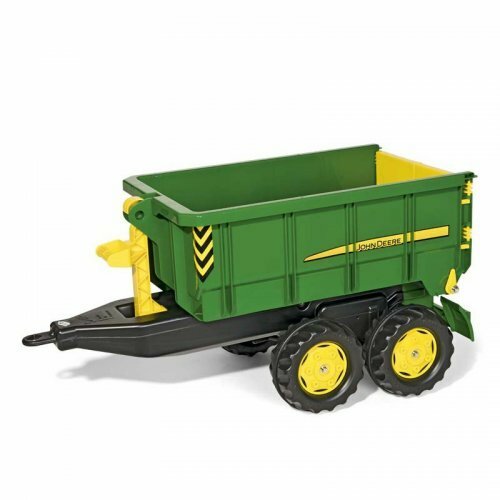 This John Deere container truck is twin axled and the container rolls on and off the chassis. The rear doors can be opened and the trailer has a tipping function. Suitable for a wide selection of Kids Pedal Tractors.